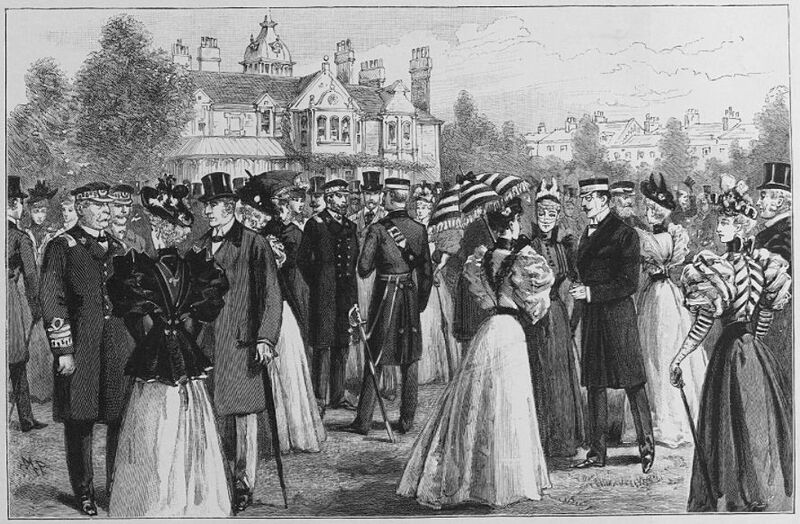 On New Years Eve, as 1882 became 1883, Prince and Princess Edward of Saxe-Weimar toasted the 200+ guests who had joined them at their new residence in Alexandra Road, while in the drawing room, the Royal Marines Light Infantry band played. Alexandra Road would, much later, be renamed Museum Road, and the home they were standing in was the newly-built Government House, constructed over the previous two years as a replacement for the former Government House in the High Street. Government House was the official residence of the Commander in Chief, and as such was as much a place for hospitality and show as it was a home. The previous house had become difficult to maintain – it was old, parts of it very old – and, for the style-conscious Victorians, unfashionable. It was unsuitable for the type of hospitality and business which was conducted there, and had no space for outdoor entertaining. A local firm, Messrs Bramble Brothers, who had been responsible for the construction of St Marys Church and numerous other landmark buildings, won the tender to erect the house and completed the work in under two years. During their two years at the new Government House, the Prince and Princess threw numerous parties, hosted numerous illustrious guests including, in 1883, the Duke of Cambridge, the Duke and Duchess of Edinburgh, Prince Alfred of Edinburgh and Prince Louis of Battenberg. OS map of the 1890s showing Government House in its grounds. 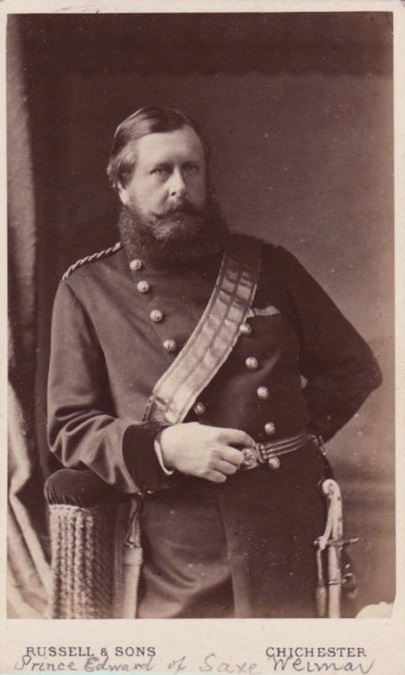 However, by 1884, the royal couple had moved on, and the Prince’s replacement General Sir George Willis and his wife Ada Mary had taken up residence. 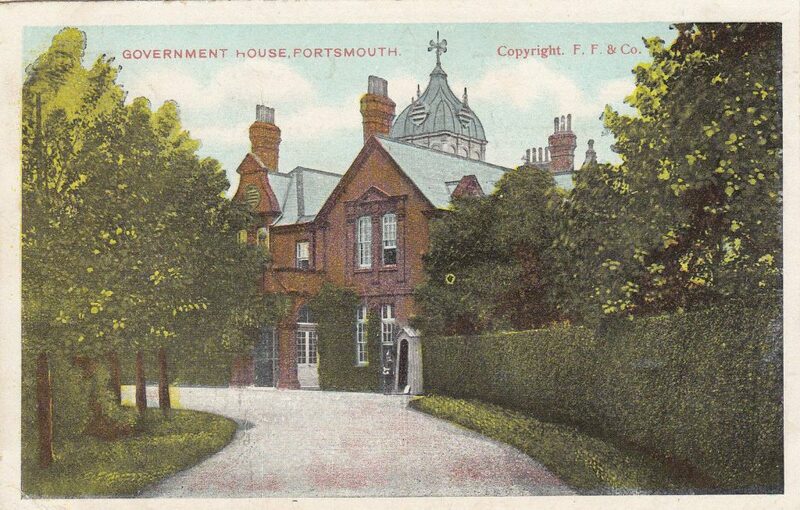 They were to stay until 1889, and in the intervening years entered into the public life of Portsmouth wholeheartedly, becoming involved with local causes, hosting many garden parties, fetes and bazaars at the house, as well as the military receptions and parades which were a part of the job for Sir George. Ada Mary was George’s second wife, mother to his four sons (George, Audley, John and Percy), and a member of the wealthy and powerful Neeld family of Wiltshire, and it is therefore perhaps unsurprising that she took to the role of patron and charitable hostess with an enthusiasm which won her special acclaim amongst both the elite and the ordinary people of Portsmouth. 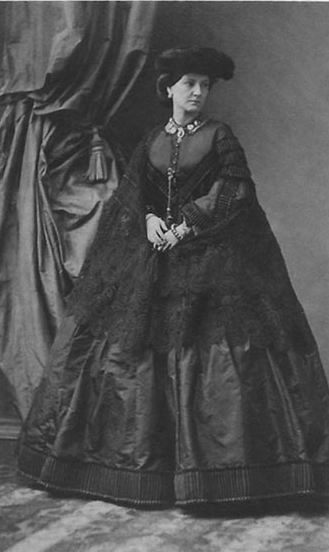 In fact, it was Lady Willis who performed the opening ceremony for Southsea railway station in July 1885. When the couple eventually left Portsmouth, a great banquet was held in their honour, with Lady Willis personally being presented with a clock, now said to be worth around £20,000, which was commissioned especially, and bore a picture of Government House on its face. The late General Sir Leicester Smyth, KCB. Illustration for The Illustrated London News, 7 February 1891. Between 1 May 1889 and 25 September 1890, Government House was occupied by General the Hon Sir Leicester Smyth (formerly Curzon-Howe). His short time in residence was linked to his ill-health, and he found himself relocated to become Governor of Gibraltar, before passing away on 27 January 1891. Government House from a contemporary postcard. His successors at Government House, however, did not arrive immediately upon his departure. Surveyors sent in to assess the building prior to the next inhabitants found the drainage system in need of replacement, and despite the house only being eight years old, a complete refurbishment and redecoration was undertaken. Perhaps not every incoming resident would have commanded such elaborate preparations, but then not just any drain would have satisfied a child of Queen Victoria whose wife had been struck down in earlier years by disease linked to poor drainage at another house! 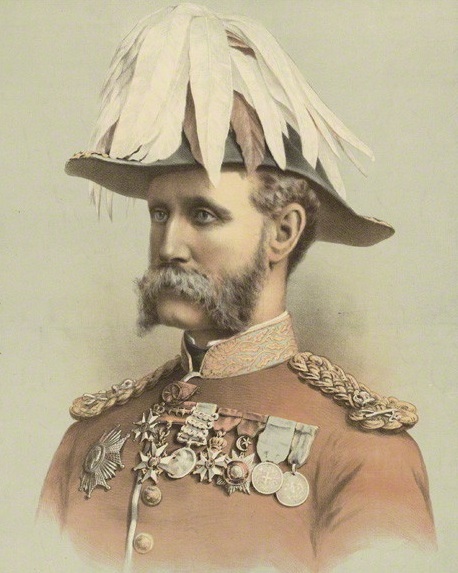 The Lt Colonel the Duke of Connaught and Strathearn (otherwise known as Prince Arthur William Patrick Albert) was the seventh child (and third son) of Queen Victoria and Prince Albert. 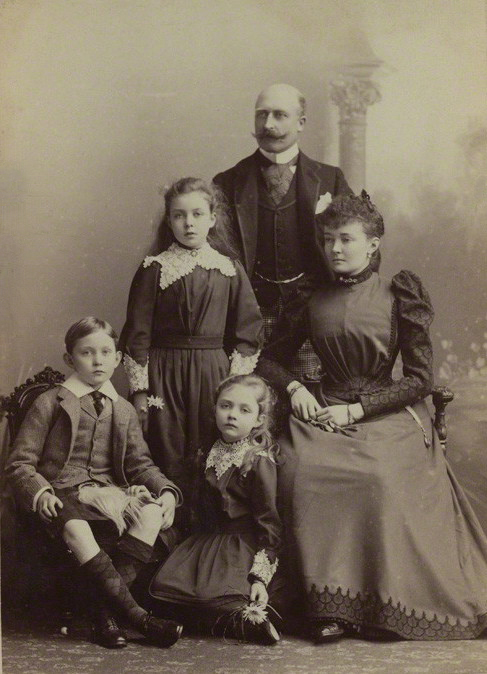 Together with his wife, Princess Luise (Louise) of Prussia, and their three children, he eventually took up residence in Government House in January 1891, after an extended stay with the Queen at Osborne House on the Isle of Wight while the redecoration of the house was completed. Under the occupation of this royal couple, the house would host ever more extravagant and ostentatious receptions, receiving visitors including the German Emperor Kaiser Wilhelm II (who came for lunch in 1892), the Duke of York, and on 29 July 1891, Queen Victoria herself. Official statements from Government House in 1892 however, were not all of a celebratory nature. In February of that year, their daughter Princess Victoria Patricia fell ill, suffering from pneumonia following an attack of bronchitis. 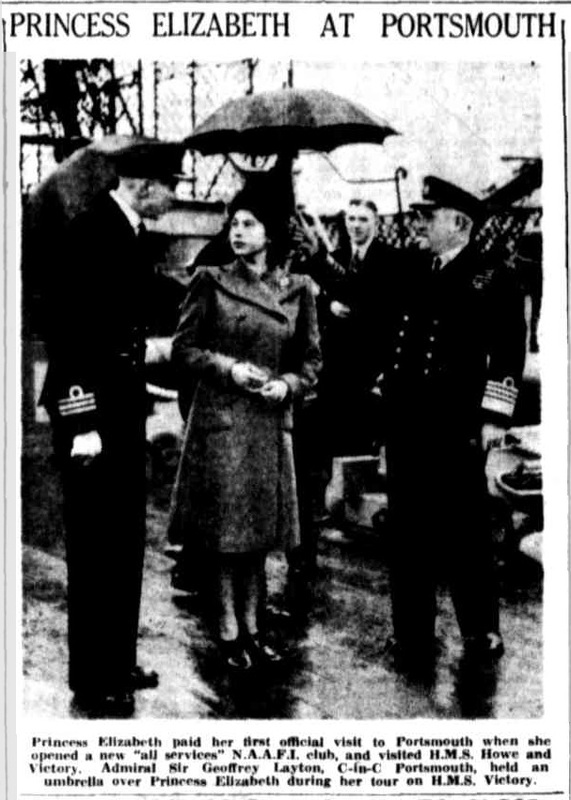 For several days the Princess was reported to be gravely ill, and the official announcements were copied into regional newspapers the nation over. The Queens personal physician Dr Reid paid regular visits, and eventually the young princess made a complete recovery – a recovery which then enabled her to perform her duties as a bridesmaid to the future King George V and Queen Mary the next year. When the time came for the Connaughts to depart Government House, two garden parties were thrown to bid them farewell. Sadly, as so often happens in Portsmouth, the weather did it’s best to disrupt events, creating a scenario familiar to any of us who have attended Freshers Fayre or other marquee-based events on the lawns of Ravelin Park! Major General Sir John Davis began his five years in charge at Government House following the departure of the Duke of Connaught in 1893. Together with his wife Lady Gertrude, he brought a veritable “menagerie” to the house, with their collection of horses, Irish setters, Persian cats, peacocks, pigeons, as well as a cormorant called Simon (who was fed whole mackerel) and a mongoose! On one memorable occasion, the peacocks escaped from the grounds and had to be apprehended after making their way up Hampshire Terrace and reaching Guildhall Square. 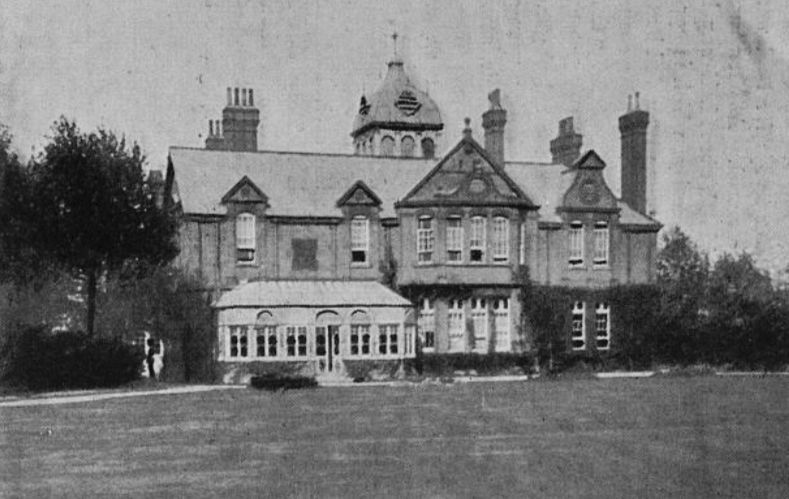 Sir John and Lady Gertrude “thoroughly identified themselves with the social life of the neighbourhood” (Portsmouth Evening News, 11 June 1898), hosting the traditional garden parties and dinners, opening new buildings such as the Army and Navy Invalid and Training Home (1898), and giving out prizes to local schoolchildren. They embraced the many new possibilities which presented themselves at the time, and it was under their occupation that electric lighting was installed inside the house in 1898. A party in the grounds of Government House in June 1897 was particularly remarked upon for its 3,000 strong guest list. To entertain these guests Sir John and Lady Gertrude decorated the gardens with flags, provided a marquee on the lawn, and employed the services of a military band. Traffic management was organised by requiring carriages to enter through the front gate facing the High Street (where Ravelin car park now stands), allowing the occupants to alight outside the house, and then exiting through the gate facing Burnaby Road (where the front entrance to the Library is now sited). Obviously queuing along Hampshire Terrace and Cambridge Road is nothing new! 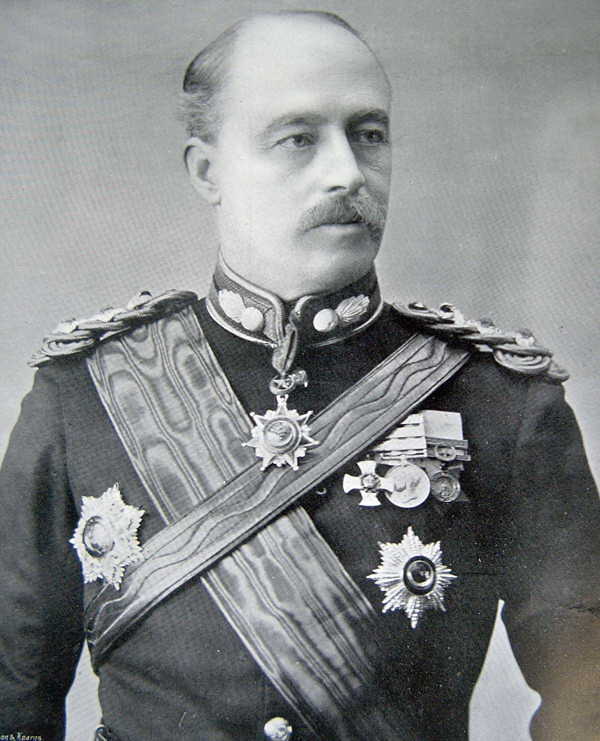 The man of means selected was the Australian-born General Sir Baker Creed Russell. The census of 1901 lists his household as comprising staff at a Lodge, in the Stables, as well as within the house where a full complement of servants saw to the needs of he and his wife Lady Pauline. The couples who inhabited the Lodge and Stables both had young children, and these families grew as the decade progressed, with more children baptised at the local cathedral with Government House as their addresses. In contrast, the indoor servants were unwaveringly single – and when ladies maid Minetta Hunt decided to marry in 1902 to a local man, she had to leave her post, which she had worked her way up to from being a housemaid with the Russells a decade before. 1901 Census return showing the occupants of Government House. 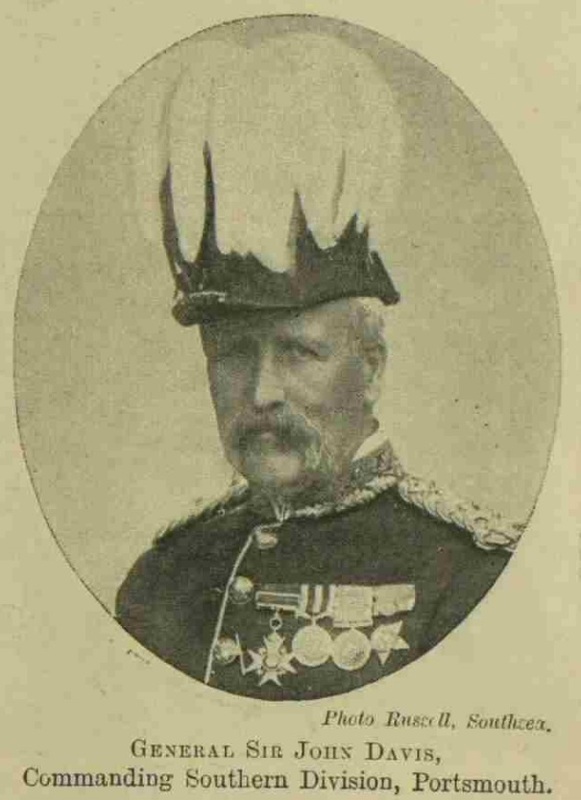 In his capacity as General Officer commanding, Baker Russell was often seen at Southampton Docks whenever troops were embarking for South Africa in the early stages of the Anglo-Boer War, and as a veteran of the Indian Mutiny, Anglo-Zulu War and Anglo-Egyptian War, he would certainly have understood the mechanics of fighting far-away battles. By all accounts he was also more than capable of performing the many diplomatic duties required, and was frequently spotted in the pages of The Tatler partaking of the more social side of life on the south coast of England. His health, however, was by this time cause for concern, and the couple travelled regularly to the Continent for recouperation visiting Tenerife in 1901 and Nice in 1902. While in residence at Government House, Sir Baker had, in 1899, made complaints about trespass on the property to the local police. This led to extra patrols being made in the area, one of which was to catch two female flower thieves, Annie Bradley (29) and Constance Roberts (19) who were apprehended whilst climbing the fence around the gardens and pulling on the boughs of trees to pluck blooms of lilac which they hoped to sell in their capacity of “flower hawkers”. The gardener said the damage caused on this occasion amounted to a value of 2 shillings and sixpence, but this didn’t stop the judge fining the woman (who pleaded guilty) 15 shillings and sentencing them to 10 days in prison in default. Sir Baker Russell eventually left his post early in September 1903, having been reported to have been seriously ill since January of that year, and travelled again to Europe. 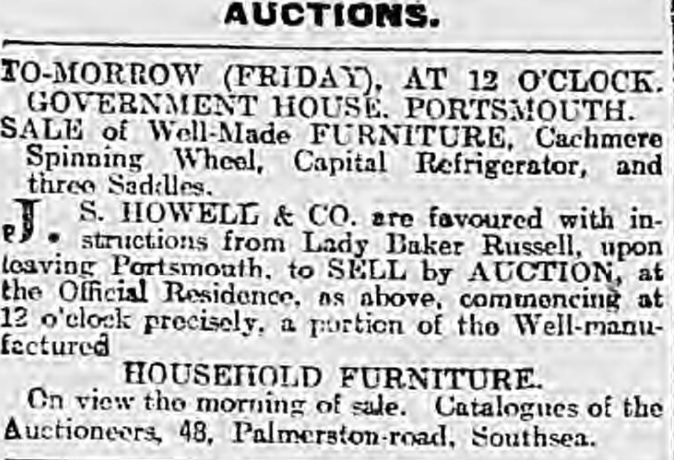 Upon this departure, Lady Russell auctioned many of their personal household goods from Government House. 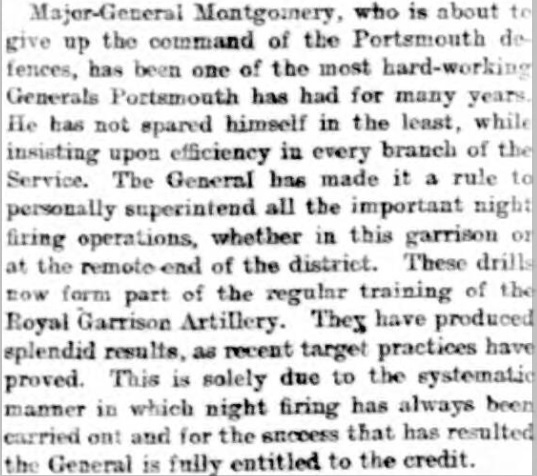 Russell was replaced by Major General Robert Arthur Montgomery, whose previous posting as Commander of the Royal Artillery had given him residence at Gun House (in the grounds of Government House), and who took over most of the duties required before his official gazetting in November, standing in for the absent Russell. 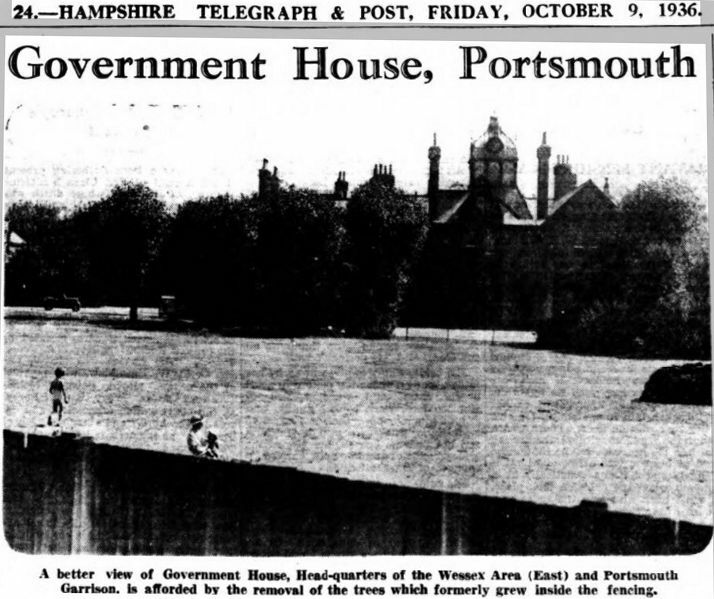 When changes in the Army took place in 1904, it was decreed that Portsmouth would have a Fortress Commander in residence, and that they would take up residence at Government House. 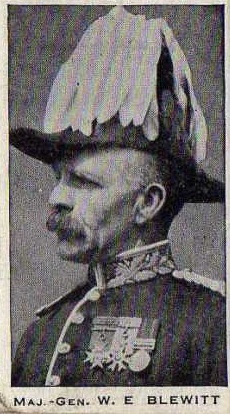 Major General Montgomery was appointed to this post, and remained at Government House until November 1905. 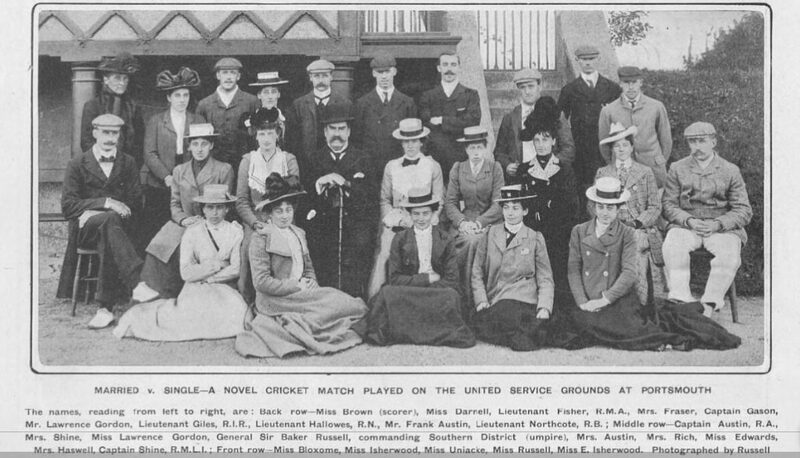 Lt General Sir Henry Hamilton Settle arrived at Government House in 1905, and remained there until 1908, his wife Lady Settle again reported as having given garden parties and attended local events – clearly the role of the lady of the house was one of public relations! 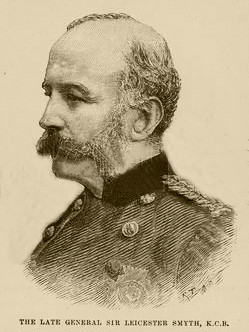 He was succeeded by Major General James Keith Trotter. Trotter, an early advocate of aviation, the Red Cross, the Boy Scouts, and a vocal supporter of the Territorial Army. 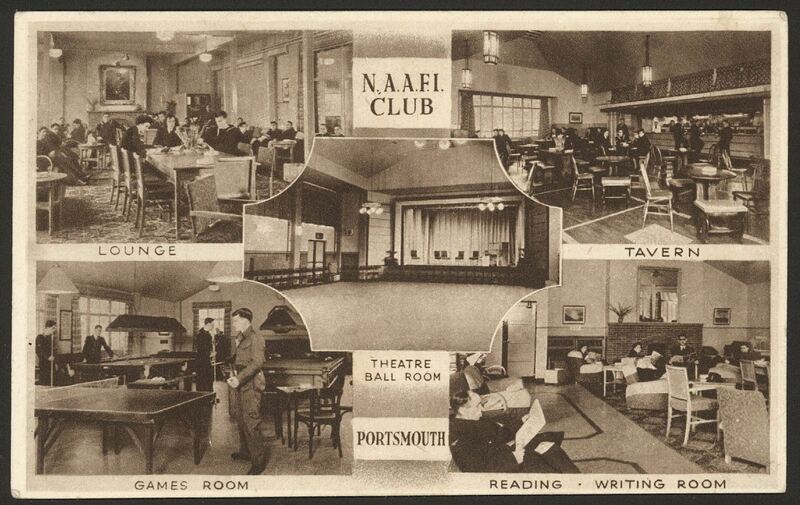 In 1911 he helped to set up a local association for Boy Scouts in Portsmouth, and in 1912 he founded No. 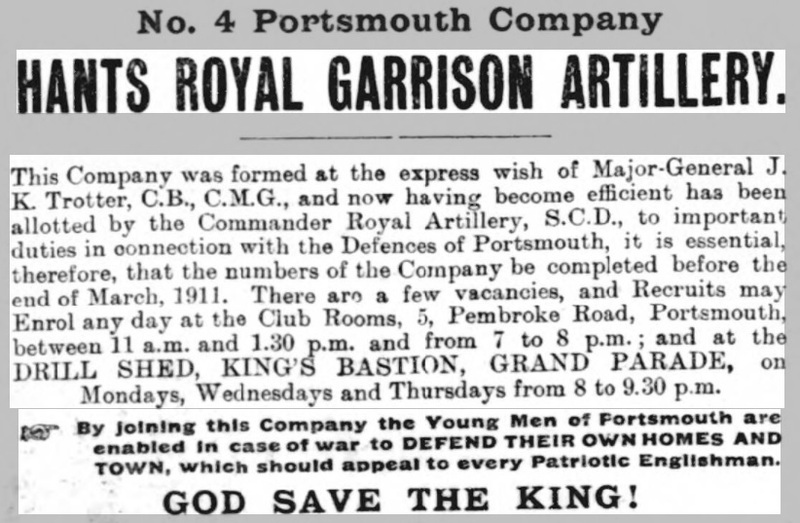 4 Portsmouth Company to support the defence of the city, saying that the only way to prevent war was to prepare for war. His son, also named James Keith, was appointed his aide-de-camp in 1910, and he is seen with his parents and their household servants on the census return for 1911. Sadly, their only son was to die on 26 August 1914 on the battlefield as a Lieutenant in the 1st Battalion of the Gordon Highlanders , though official confirmation of his fate did not arrive until June the next year. In addition to those listed as the occupants of the 30 roomed property named Government House , the estate still comprised of associated buildings which were on this occasion recorded individually. 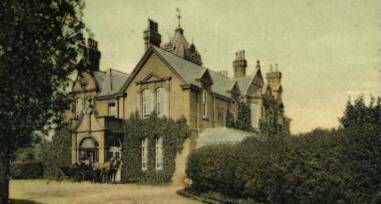 The Lodge which opened onto the High Street was occupied by Edwin Palmer (36), his wife Annie (36) and their children Albert (11), Helen (9), Ethel (8), twins Alfred and George (5) and Herbert (3). Sadly, the couple had also lost one child in infancy. In the Stables, Frederick Hyde, a 32 year old coachman lived with his wife Elizabeth (30) and their children Queenie (6), Frederick (4) and William (11 months). Finally, in the Lodge at the Cambridge Road entrance lived 32 year old William Stone, a gardener, and his wife Ada Maria (29) who were childless. Wiltshire-born Stone would remain in Portsmouth for the rest of his life, celebrating his golden wedding anniversary in January 1954, at which time a Portsmouth Evening News article detailed his enduring love of horticulture (specifically the growing of vegetables), his service at Ypres during the First World War, and the fact that his brother-in-law had been lost on the RMS Titanic. 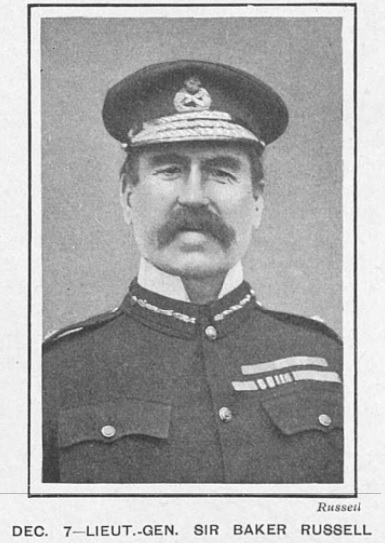 Major Gen Blewitt, shown on a collectable cigarette card of the time. The Trotters were replaced in late 1911 by Major General W E Blewitt, who oversaw the huge mobilization of troops that took place at the beginning (and indeed throughout) the First World War. 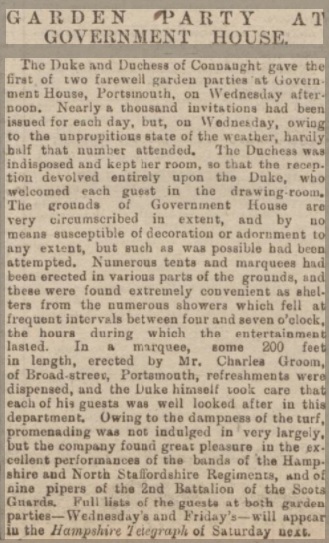 Just days before the declaration of war, the Blewitts held a large garden party at Government House, which was noted by the press for its extravagant display of female fashion – I have shown only the first section of the article here, the full report gives the dress choices of seemingly hundreds of the guests. The King Sol, of whom brief mention was made, was in fact not royalty, but the sun! Perhaps the privations of war were at the root of events in 1915, when Government House was the scene of a rather bungled crime. A naval stoker named Albert Green (aged 26) was charged with having attempted on the night of 29 August, to burgle both Government House and Ravelin House (then the residence of Brigadier General Sir Charles Godby). It was claimed that Green entered Government House through the conservatory which led to the drawing room,knocking over some flower pots in the process. Nothing else was disturbed however, as the noise created by the toppling pots alerted Blewitt to his presence, and he ran off into the grounds. 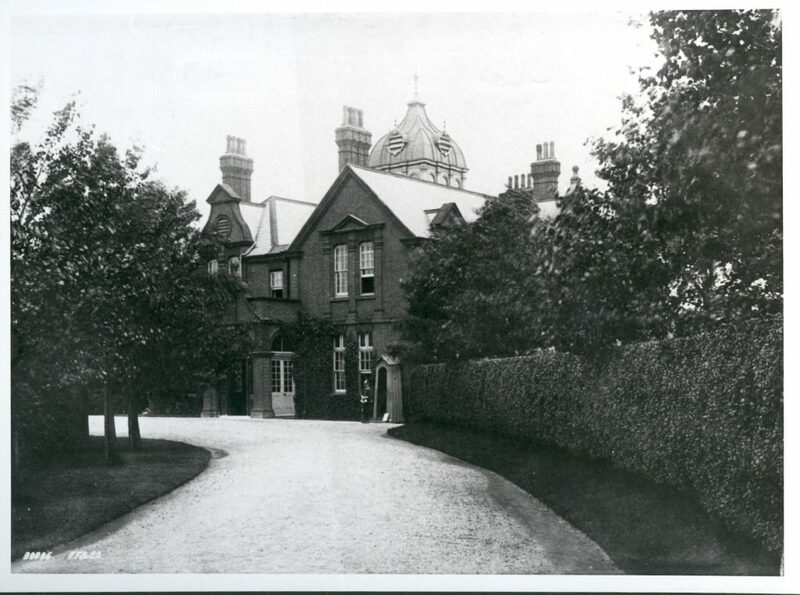 On the morning of 30 August, a gardener named Robert Emerson discovered that Ravelin House (which had been locked up while the family were away on holiday) was open, and that boxes and drawers had been ransacked and left scattered across the rooms. A housemaid named Mildred Little said that belongings which had been secured in drawers of her mistresses room were among those scattered, and that there were signs drawers had been forced open. A gardener at Ravelin House, Robert Summerson, said that he had checked the house was locked in the early evening, and suspected a skeleton key had been used on a kitchen door which was locked but not bolted. Government House, showing the conservatory through which the break-in was attempted. OS map of the 1910’s showing Government House in its grounds. Major General Blewitt and his wife would remain at Government House until 1916, when he was replaced by Major General F C Heath-Caldwell, who would see out the rest of the War and its aftermath. In the inter-war years of the 1920s and 1930s Government House became home to a succession of Brigadiers, who, along with fellow officers, had their offices in the house rather than merely their home. In a changing world, the lavish entertaining which was such a part of life at Government House in its earlier years became less pronounced, and the building became far more functional. The coach house and stables were repurposed to house motor cars, and frequent suggestions were mooted about selling off the house and land, and many at the City Council expressed a desire to develop the land for civic purposes. 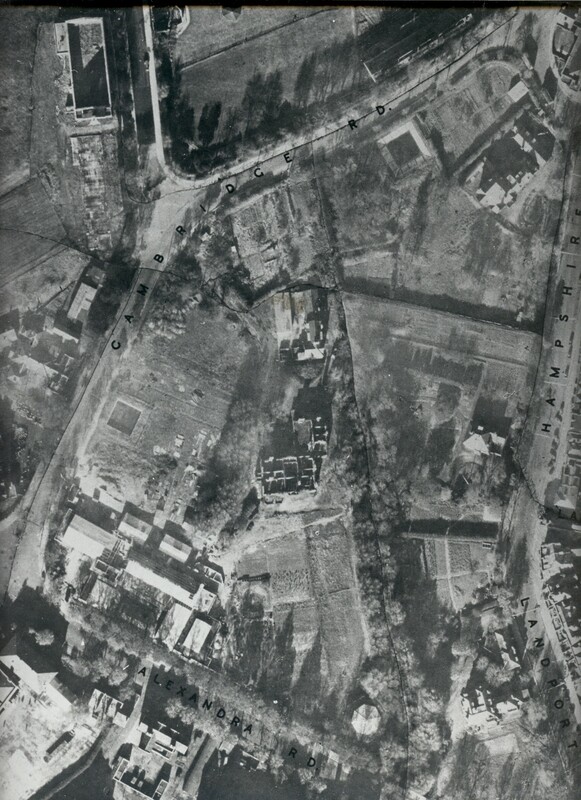 Aerial photograph from the UoP Library collection showing the ruin of Government House. With the house itself a ruin, alternative uses were immediately instituted for the site. Potential for civic development was again mentioned, both by local planners and the Freemasons, although disposal by the military was not yet on the cards. Letting their imaginations run wild in the aftermath of city-wide destruction, and with the over-optimistic futurism that so characterised the post-war years, they imagined a new civic centre, a replacement Guildhall, a new Town Hall on the site. It wasn’t to be. OS map of the 1940’s showing Government House as a ruin, with the NAAFI building newly built. Whether the facilities were heavily used I cannot verify, but certainly by 1954 the Army and Navy were using the open space the grounds presented to land helicopters on when high-ranking officers came to visit! 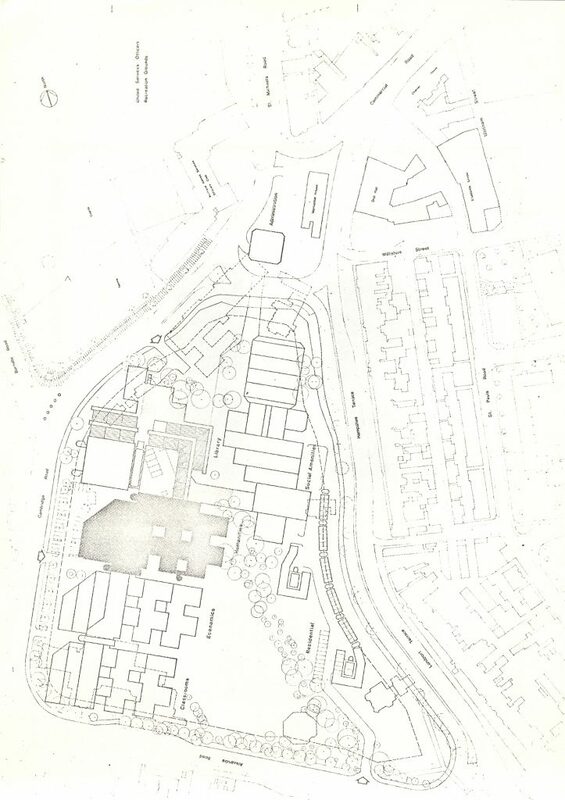 OS map of the 1950’s showing the clearance of the ruin of Government House… although the stable block remained. When the then-Polytechnic acquired the land in the 1970s, it formed the focus of some initially ambitious plans. 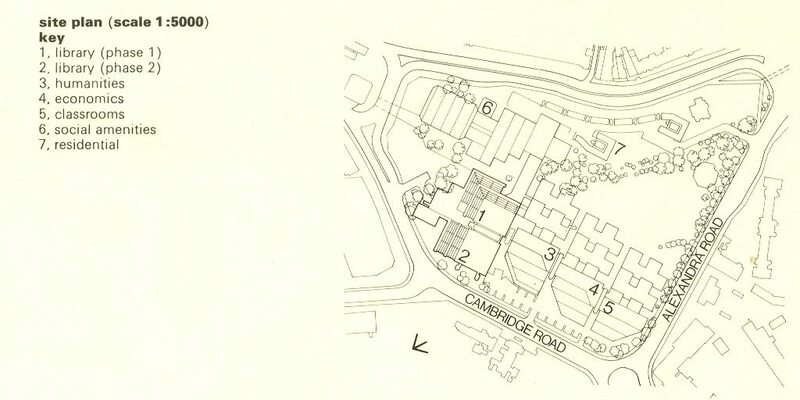 Early equivalents of our current Estates Masterplan were sketched out, involving the construction of a “campus” style development which would provide teaching space and a library as well as residential and social areas. The innovative design selected for the library, which was to be the first building constructed, was to be mirrored in those that would follow, with concrete and glass forming the bulk of construction materials. Illustrations in our archive provide some ideas about how the area would have looked had the development continued. Initial plans for the University development on the site. The story of this particular plot of land is longer than that of Government House, extending far back into the defensive history of the ancient port, and forward to encompass the still-evolving development of the University, but for a brief few years, the tales that can be told surrounding a house and its grounds offer a brief insight into a world which has moved on, but which retains its influence on the paths and roads we walk today. To research this site while sitting where, perhaps once, a Queen took tea, or a gardener received news of a tragic loss, is a strange feeling, yet one which connects me with the past, and helps remind me of the intricate web that is the story of our city. Research by Paula Thompson, using the resources in the UoP Library archive, book collection and online resources.